Each business will need tools and resources if they will function properly, and a medical provider will need basic equipment such as a copier and scanner to run their office smoothly. When you understand the right tools for the job, it can help you to complete your job tasks more easily. If you want to increase the efficiency of your scanner and office equipment, upgrading can be an excellent choice because as technology has advanced, we have more eco-friendly and cost efficient options available. When using a scanner, we recommend scanning the medical data into a computer for easier retrieval and storage. This will also make it easier to find medical records. 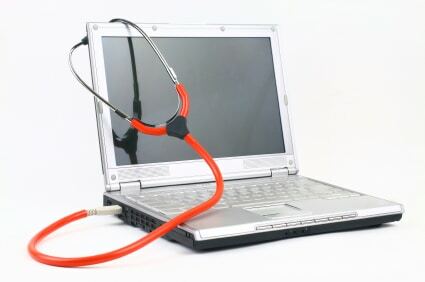 This method of scanning to a computer is known as electronic medical records or EMR. An EMR system lets you have instant access to crucial information such as medical insurance and a patient’s medical history. Your employees will spend less time searching frantically through a big stack of papers, which will save cash on toner and paper. Finally, choose a scanner suited to your needs. If you will only need to scan words, then a low-resolution scanner will get the job done, but a flatbed scanner will make more sense for three-dimensional images.